It is with heavy hearts we convey the sudden passing of Garry Kohlhauser on October 4 2018 in Clearwater BC. Garry was 65 years old. A long-time resident of Birch Island Garry was born in Quesnel BC to Frank and Dea Kohlhauser, the first of four children. He worked in the logging industry many years running equipment and loading logging trucks. He shared his time between family, friends, playing softball, hockey and golfing in the sun. Garry passionately enjoyed gardening, a good book, loud music, big old cars and Chevy pickups. Garry had the best laugh. We were truly blessed to be in the presence of his hearty “Kohlhauser” laugh. Always a bachelor Garry’s extended family were the people of his community. He attended school in Kersley BC and Quesnel, BC. 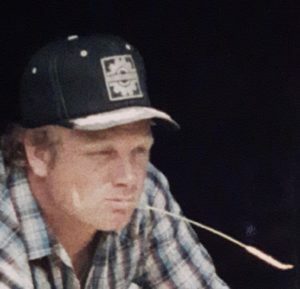 He lived, along with his family, for a few years in Valemont BC in the late 1960s and upon arriving in the North Thompson valley went to work right away in the bush. Left to honor his life and mourn his passing are his mom Dea, sisters Linda Moss, Pearl Kohlhauser and Katherine Groot. His nieces Bobbi and Marcee, nephews Kyle and Nathan will miss him dearly; aunts, uncles and cousins will miss him too. Garry’s Dad passed away in 2008. There will be a gathering to celebrate Garry at a later date. Donations in his name can be made to the Dr. Helmcken Memorial Hospital in Clearwater, BC. He was treated very well there. Cremains will be interred at Birch Island cemetery. Messages of condolence may be left for the family at Drake Cremation and funeral services.